The Markham Federation of Filipino Canadians is a non-profit organization committed to the promotion and preservation of the Filipino culture and heritage through dialogue, educational, social and cultural activities. A scene from Sound of Music portion of Taste of Broadway, The Classics. 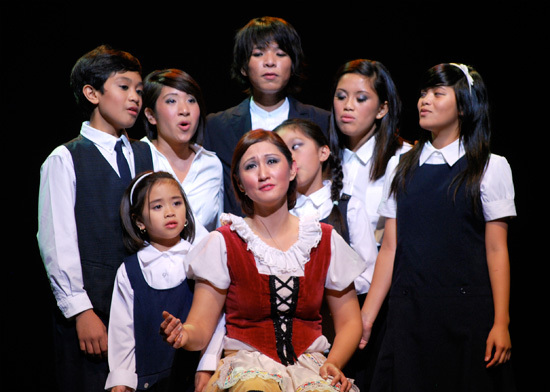 MARKHAM - It was a shining moment for the Markham Federation of Filipino Canadians (MFFC), when its musical production, “Taste of Broadway, The Classics,” received a standing ovation from the audience of a packed concert hall. At the Richmond Hill Centre for the Performing Arts where the huge musical production was staged last Saturday, Oct. 10, the pride and excitement of the performers, organizers and the volunteers were easily discernible from their big smiles as they acknowledged the finale’s applause. 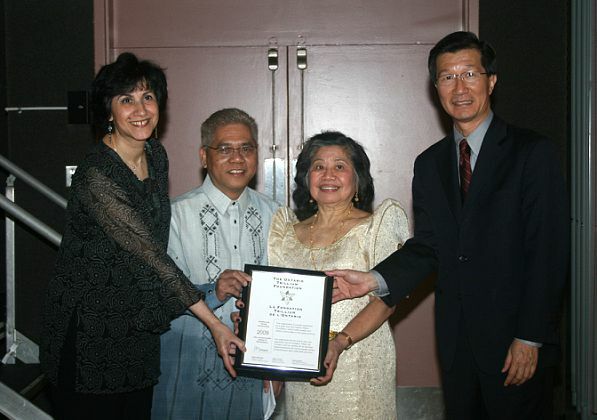 May 23, 2009, Markham – The theme of the Markham Federation of Filipino Canadian’s 20th Anniversary Dinner/Fundraiser on Saturday night was “A Toast to Diversity”. It was also the setting for an announcement by the Hon. Michael Chan, MPP and Fatima Haji, a volunteer with the Ontario Trillium Foundation, that the organization has received a one year, $122,500 grant to renovate and expand upon their building, located on Denison Street. Markham Federation of Filipino Canadians. Markham, Ontario, Canada. All rights reserved.